Boeing and Turkish Airlines announced they have finalized a firm order for 25 787-9 Dreamliners with options for five more aeroplanes. The firm order will allow Turkey's flag carrier to further meet the growing demand at its home airport, Istanbul's third airport, and improve the flying experience for passengers. Boeing and Turkish Airlines announced they have finalized a firm order for 25 787-9's. With this firm order – first announced as a commitment last September – Turkish Airlines becomes the 71st customer to buy the 787. Together, these customers have now ordered more than 1,300 Dreamliners, the fastest-selling twin-aisle aeroplane in Boeing history. 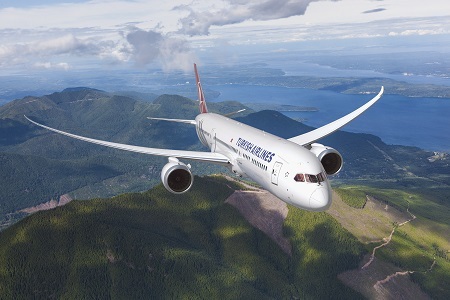 "We are pleased to finalize a landmark agreement that will bring significant benefit to Turkish Airlines and Turkey's aviation industry," said M. İlker Aycı, Turkish Airlines Chairman of the Board and the Executive Committee. "This firm order adds the 787 Dreamliner, one of the world's most state-of-the-art aeroplanes, to our ever-expanding fleet in 2023, our Republic's 100th year. The 787 will significantly raise our passengers' satisfaction and play an important role in our plans for our new hub, the new Istanbul airport. This will accelerate the steady rise of our country's flag carrier and support the growth of Turkish Civil Aviation." Turkish Airlines has continued to expand its fleet of Boeing aeroplanes. Recently, the airline grew its stable of 777 jets with a purchase of three more 777 Freighters. 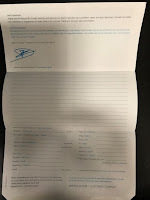 The airline also uses electronic charts and some other services from Boeing Global Services to further optimize its operations and operational systems. 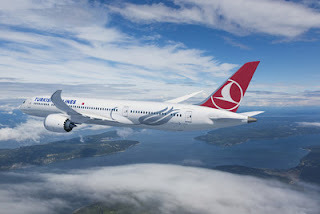 "We are proud to extend our decades-long partnership with Turkish Airlines and we welcome them to the growing group of elite airlines who have made the 787 Dreamliner the most preferred mid-sized twin-aisle aeroplane today," said Kevin McAllister, Boeing Commercial Airplanes President and Chief Executive Officer. "We are confident that Turkish Airlines will enjoy the Dreamliner's unmatched fuel efficiency, range, and superior cabin features." Based in Istanbul, Turkish Airlines carries over 60 million passengers a year, with direct flights to 301 destinations in 121 countries. The airline made its first domestic flight in 1933 and the first international flight in 1947. Turkish Airlines was founded in 1933 with a fleet of five aeroplanes that carried a total of 28 passengers, expanding to 328 aircraft today.